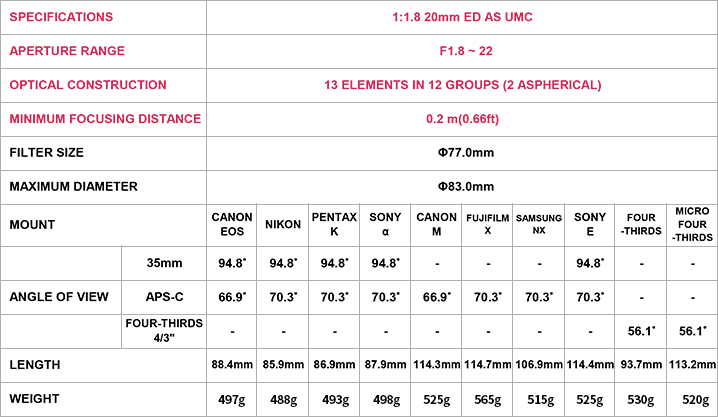 The Samyang 20mm F1.8 ED AS UMC and 20mm T1.9 ED AS UMC are coming to FE-Mount and cost €549 (€599 for the Cine Lens). 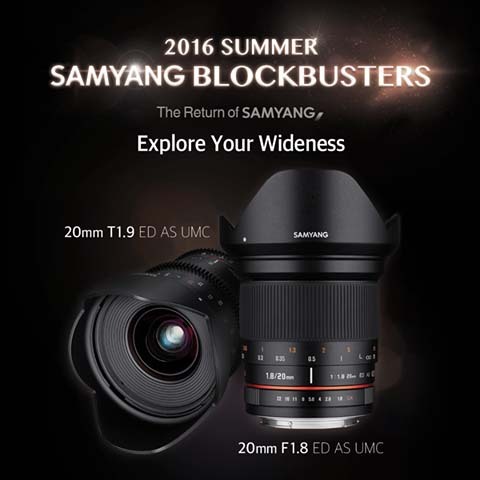 This is the second pair of Samyang Lenses for E-Mount during their Monday Blockbuster announcement series. 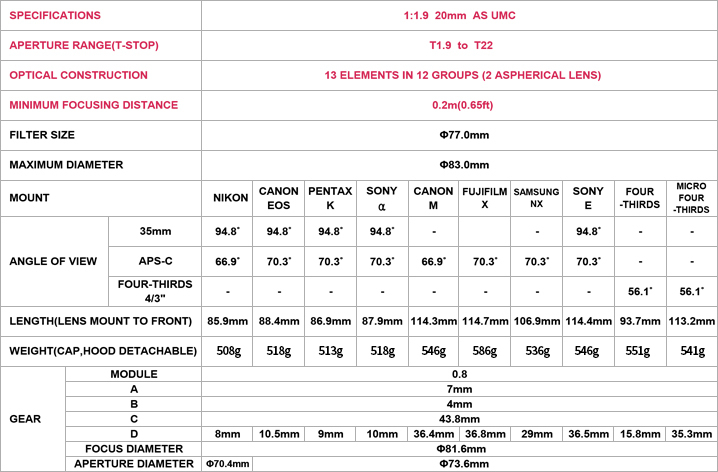 This entry was posted in 3rd Party Lens and tagged Samyang 20mm F1.8 ED AS UMC, Samyang 20mm T1.9 ED AS UMC. Bookmark the permalink. Trackbacks are closed, but you can post a comment.